If the idea of making money online sounds attractive to you, then you’re already aware that to do so you need an audience. You need people who are part of your community, who consume your content, and who you can persuade to buy from you. 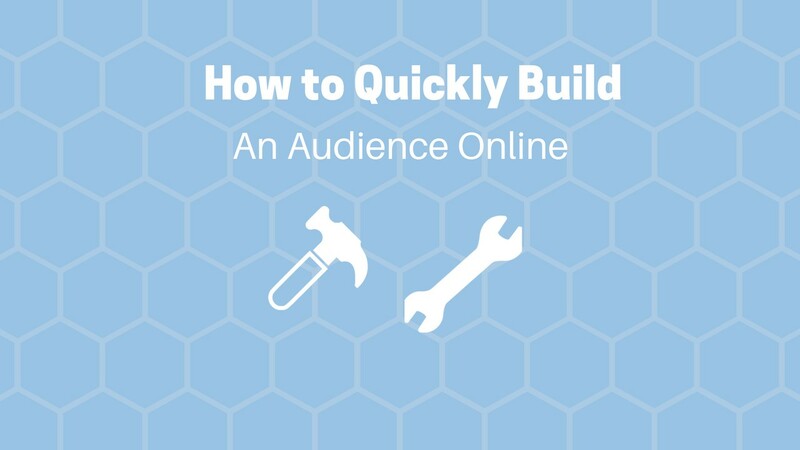 Building an audience is the first step to becoming successful online. To build your audience, you have many tools at hand to help make the job easier on you. We will be talking about each of these tools today and the methods you should employ in your online business to quickly grow your audience. One of the most popular ways to build an audience is through blogging. You may not be a great writer and that’s okay because you can either improve over time from lots of practice or outsource to a professional writer. To start a blog is simple. See this article on how to get one set up in less than an hour. Once your blog is set up, think about the topics you want your blog to cover and make a list of article ideas. Then get to work writing 5-10 articles to start your blog off with on launch day. With over 2 billion users on Facebook, 1 billion on Instagram and hundreds of millions of people using all the other platforms, you can see why social media is a powerful tool for connecting with millions of people. Social media will be one of the faster methods for growing an audience if done right. Then you can direct your followers to whatever product or service you’re offering. For example, I built an Instagram following to 30,000 people once. Every day I would share a relevant photo and write a thoughtful teaching lesson in the picture’s description. At the end of the description I’d direct my followers to click the link in my profile biography section to learn more about whatever I was offering (email freebie, product, coupon, etc.). The best social media platform to be on for blogging and growing website traffic is Pinterest. Check out this resource that will help you master Pinterest like a boss and quickly build your audience. Lastly, you can track your social media using Google analytics and other link tracking tools to see how many of your followers are taking action and how many are converting to customers. A search engine is a great tool for getting found on the internet but one of the more challenging methods depending on which niche you are in. The most common search engine people use is Google. When someone has a question or wants to learn about something they usually head over to Google and enter a phrase into the search bar. That phrase they enter is made up of different words. Google analyzes those words and decides which articles from across the internet would be most relevant to show the user. The 10 articles Google shows on it’s 1st page of search results are the 10 lucky websites who get the best chance of attracting the user to click on and come to their website. This is why it’s important to optimize your website for search engines and trying to rank on the first page of Google for different keyword phrases related to your business. If you want to quickly get in front of thousands of people, then paid advertising is your best route to go. But it does cost money unlike the other methods we’ve discussed so far so if you have the budget then go for it! To start out, you can use Facebook ads and target specific people or groups that would be most relevant to your brand. For example, I target people on Facebook interested in golf so that my ads are actually relevant and being seen by my ideal target audience rather than being shown to irrelevant people wasting my money. You can also use Google ads to try and rank on the first page of results above all other articles for certain keywords you’re targeting. Think up which phrases your ideal audience would be searching and pay to rank on Google for those word phrases. Example “Workout tips for beginners” is a target phrase I would want my article to rank for to attract clicks by the people searching those words on Google. Lastly, you can get traffic to your online business via referrals. As more people learn about your brand, they’ll send referrals your way if they loved their experience they had with you. We see this all the time with social media influencers. Your friend probably has told you about someone else they are following and why you should go follow them to. Or maybe they tell you about how awesome a restaurant was and why you should go eat there too when you get the chance. In the online world, you’ll see referral traffic coming from other websites, bloggers, and forums where people discuss your brand and link to you to direct their readers to your website or store page. If you’re selling products online, you can also have people join your sales team by becoming affiliates for your brand. They refer customers to you in exchange for a percentage of the sale or flat fee depending how you decide to pay your affiliates. Using affiliates is one of the fastest ways to grow your sales and reach new audiences that other people have access to. Overall, try these various methods and see which ones work best for your business. Social media and paid advertising will likely be your fastest methods for reaching a big audience and attracting a following. But the long term strategy should include search engine marketing and building relationships with other influencers and bloggers. This way they can send you referral traffic from an audience they’ve built, saving you time and growing your audience on autopilot. If you found this article helpful and want instructions on how to get a profitable blog set up in 30 days, then consider checking out my paid program Profitable Blogger here. Or subscribe below to my email newsletter and get sent weekly email tips to help you build your online business the smart way.